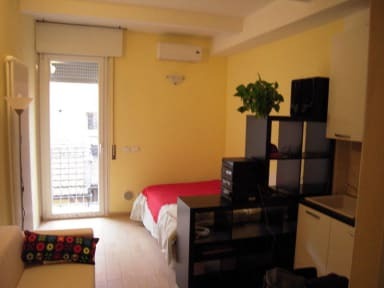 The flat was fully renovated in 2015 with fine finishes.it is the ideal for single or a couple. 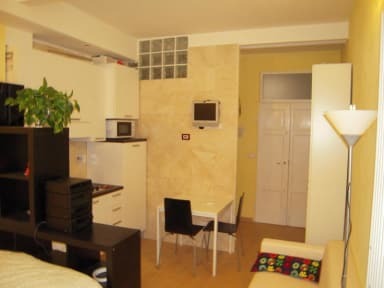 It is equipped with a living room with annexed double bed and sofa, and a kitchen. The bathroom is equipped with every comfort (toilet, bidet and shower). Air condition and internet wi-fi are free.